As soon as they had all the green lights lined up for their new brewery back in the early days, the Cavalier guys didn't waste much time getting around to having a little fun. There was a Black Coffee IPA brewed with Melbourne roasters Proud Mary to represent Melbourne at Good Beer Week 2013 and the return of their Imperial Stout, a beer that, like their Imperial IPA, hadn't featured very often but has tended to leave the beer geeks gagging for more. 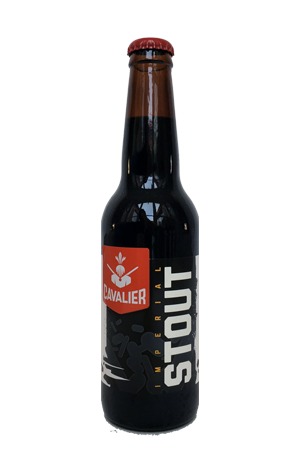 It's a beer that's since become an annual staple for the brewery, one that has stepped back a little in booze from its 10 percent ABV earliest days to 8 but retains its firm roasted barley and coffee edginess atop the balancing chocolatey, dark fruit elements.